"Its leaders believe the Alliance is powerful enough to be both-a democracy on election days and a dictatorship on every other day-but they're wrong. No government should be so powerful. It's time someone demonstrates the error in their thinking." The Earth Alliance rules 82 worlds, controlling an empire that spans a third of the Milky Way. But when its leaders stray too far from the democratic principles on which it was founded, one colony-one group of daring rebels-will risk everything in order to reclaim their freedom. 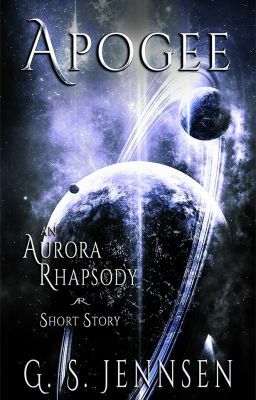 Set a quarter century before STARSHINE: Aurora Rising Book One (Aurora Rhapsody #1), APOGEE tells the story of the fateful decisions and critical opening moves of the First Crux War between the Earth Alliance and the Senecan Federation, the repercussions of which will ripple forward across decades and shape the world forever.